This is a rich and engaging work of outstanding scholarship. Scholars in sociolinguistics, literature, and folklore will recognize the importance of the book for their fields. General readers will find it just plain interesting. Quoting is all around us. But do we really know what it means? How do people actually quote today, and how did our present systems come about? This book brings together a down-to-earth account of contemporary quoting with an examination of the comparative and historical background that lies behind it and the characteristic way that quoting links past and present, the far and the near. Drawing from anthropology, cultural history, folklore, cultural studies, sociolinguistics, literary studies and the ethnography of speaking, Ruth Finnegan’s fascinating study sets our present conventions into cross-cultural and historical perspective. She traces the curious history of quotation marks, examines the long tradition of quotation collections with their remarkable recycling across the centuries, and explores the uses of quotation in literary, visual and oral traditions. The book tracks the changing definitions and control of quoting over the millennia and in doing so throws new light on ideas such as 'imitation', 'allusion', 'authorship', 'originality' and 'plagiarism'. 9. What is quotation and why do we do it? Ruth Finnegan is Visiting Research Professor and Emeritus Professor in the Faculty of Social Sciences at the Open University where, as a founder member of the academic staff, she has spent much of her academic career. With a first degree in classical languages and literatures (Oxford’s Literae Humaniores) she moved into anthropology as a graduate and spent several years conducting fieldwork and teaching in Africa. Her publications have consistently been inspired by these overlapping literary, historical and anthropological backgrounds. Her particular interests are in the anthropology/sociology of artistic activity, communication, and performance; debates relating to literacy, 'orality' and multimodality; and amateur and other 'hidden' activities. She has published widely on aspects of communication and expression, especially oral performance, literacy, and music-making. She was elected a Fellow of the British Academy in 1996 and an Honorary Fellow of Somerville College Oxford in 1997; and was awarded an OBE for services to Social Sciences in 2000 and the Rivers Memorial medal by the Royal Anthropological Institute in 2016. Publications, rooted in cultural anthropology but also drawing on a range of disciplinary traditions, include: Limba Stories and Story-Telling 1967, 1981; Oral Literature in Africa, 1970 (a new, revised edition of Oral Literature in Africa published by OBP is available here); Modes of Thought (joint ed. ), 1973; Oral Poetry, 1977 (2nd edn 1992); Information Technology: Social Issues (joint ed. ), 1987; Literacy and Orality: Studies in the Technology of Communication, 1988; The Hidden Musicians: Music-Making in an English Town 1989 (2nd edn 2007); Oral Traditions and the Verbal Arts 1992; South Pacific Oral Traditions (joint ed. ),1995; Tales of the City: A Study of Narrative and Urban Life, 1998; Communicating: The Multiple Modes of Human Interconnection, 2002; Participating in the Knowledge Society: Researchers Beyond the University Walls (ed. ), 2005; and The Oral and Beyond: Doing Things with Words in Africa, 2007. Why Do We Quote? The Culture and History of Quotation is licensed under a Creative Commons Attribution - Noncommercial - No Derivative Works 2.0 UK: England & Wales License. A short dip into my own personal encounter with quoting/quotation in study, home and street to introduce examples and issues gently, and hopefully relate in an accessible and engaging way to readers’ similar (or contrasting) encounters. 3-4 illustrations of visually displayed quotations. What are people quoting today? What are quote marks and where did they come from? Collections of quotations rather seldom figure in the histories of literature, yet humans have compiled and valued them for millennia, dating back to Sumerian proverb collections in ancient Mesopotamia. Here is a different strand in the treatment of others’ words which carves them out decisively, complementing the strategy of marking them by quotation signals within a longer text. This chapter again starts with one particular example – the Oxford Dictionary of Quotations, the iconic collection most frequently mentioned by the British commentators – then goes back through earlier collections to exemplify the changes, contrasts and continuities, focusing mainly on four mini-case studies: Macdonnel’s A Dictionary of Quotations in Most Frequent Use. Taken from the Greek, Latin, French, Spanish, and Italian Languages; Translated into English (1797 with many later editions and pirated copies, in both Europe and America); the successive editions of Erasmus’ famous Adages from 1500 onwards, of (eventually) over 4000 quotations from classical Greek and Latin authors, a best seller for centuries; Thomas of Ireland’s Manipulus florum in the early 14th century, ordered with amazing efficiency as source book for preachers; and Cato’s Distichs, a collection of Latin moralistic epigrams, probably from the 3rd-4th century AD and still a school text in the 18th century. The popularity and longevity of such collections is remarkable, so too is the striking continuity of certain quotations, repeated down the centuries as compilers mined their predecessors: a long tradition lay behind the Oxford Dictionary of Quotations. 8 illustrations to exemplify layout and title pages etc. So far the examples have focused on written forms, but this chapter raises the question of whether quotation necessarily depends on writing (as some have argued) and illustrates how others’ words and voices can be and are drawn on in oral settings and can be enhanced in performance, sometimes in notably complex ways. Musical quotation is discussed briefly, followed by a more extensive account of pictorial dimensions such as the role of calligraphy and image in staging quotation, the books of illustrated proverbs popular since at least the 15th century, and the famous proverb pictures by Brueghel and other Dutch painters. 6 or 7 illustrations, specially important for the final section. Quoting and writing – inseparable twins? How do the thousand flowers grow and who savours them? Constraining and allowing quotation: who and how? What is a flower, what a weed? 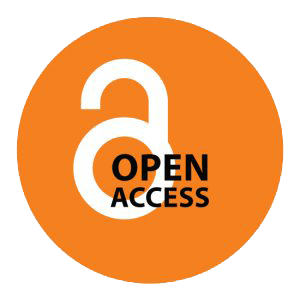 Ruth Finnegan discusses Open Access and the future of academic publishing on Open University's Platform. She predicts that "the long reign of the weighty academic tome is nearing its end". You can read her full article here. The anthropologist Ruth Finnegan’s study testifies to the sheer diversity of motives people have had and still have for quoting, and to the surprising variety of forms that quotations take and have taken, throughout history and across cultures ... A matter of particular interest to students and critics of literature emerges in chapter 6, in Finnegan’s discussion of oral performance. Because one can signal quotation in oral performance by shifts of tone, gesture, and inflection, a speaker can suggest that certain words are held at a greater distance than others, with different attitudes towards those words held nearer and further away, so that there exists in oral performance a ‘gradient of quotedness’ ... The power of her study’s central principle is that it does not reduce all human communication to a uniform, single practice; it does not imply that all words or voices are the same. The principle of a gradient insists upon diversity as the essential characteristic of quotation. The strength of Finnegan’s study as a whole is the way in which it testifies to the principle’s truth by the sheer variety of quotations and quoting practices that she showcases, describes, and analyses. Written for a broad readership by a respected scholar of, among other things, oral literature, Why Do We Quote? is above all an eminently enjoyable read. [...] If the main part of the book is blissfully rich in data past and present, woven together through Finnegan’s meaningful analytic voice, she opts not to bow to but make visible the scholarship that has been devoted to facets of quoting and footnoting in an appendix entitled "Quoting the Academics” [...] The added benefit: Finnegan does not just sketch how this terrain has been researched, but she also elaborates on how she would characterize her own approach vis-à-vis these others, claiming a place for her mixture of ethnographic, literary, and historical perspectives that is indeed unique — and that should be appealing to folklorists and ethnographers of communication. Quotation, with its bedfellows imitation and allusion, is at least as old as written civilisation. Through ever-increasing distances from the present and the personal, this book from the innovative Open Book Publishers (it can be read online for free) works through the thicket surrounding the verbal and grammatical mechanics of quoting. It has enlightening things to say about the Western tradition of compiling books of quotations. [...] Finnegan offers analyses of proverbs, storytelling and the rich intricacy that signals spoken quotation that do much to illuminate the complexity of oral communication. The verbal realisation of quotation is the core concern of the volume, which crosses academic and cultural disciplines with effectiveness and confidence. If you subscribe to the Times, you can read the full review here. In a highly interesting and well done book in the category of cultural nonfiction, Why Do We Quote? The Near and Far of Others' Words and Voices by author Ruth Finnegan is a worthwhile read. Pulling from anthropology, cultural history, folklore, cultural studies, socio-linguistics, literary studies, and the ethnography of speaking, the book provides an absolutely fascinating look at why people in our society quote others and how we do it. The book also serves as an excellent study into ideas like imitation, allusion, authorship, originality and plagiarism, and will make readers think deeply into our framework for why we think the way we do about quoting and our use of quotations. This book is both entertaining and educational, and readers will enjoy it from start to finish. I must admit, when I looked at Why Do We Quote? The Near and Far of Others' Words and Voices, my first thought was, "A whole book about quotations? How is that possible? And how could it be interesting?" But I was certainly surprised by author Ruth Finnegan's excellent work. Her work is amazing in that it presents form and usage of speech in a highly interesting fashion, and her style of historical inquiry into the topic almost makes one feel as if you are reading a whodunit mystery. I was drawn into this book from the very beginning, and enjoyed it so thoroughly that I read the whole thing in only a few sittings. I highly recommend Why Do We Quote? to any reader looking for a unique and interesting book with a wonderful historical perspective. I look forward to reading more from author Ruth Finnegan as soon as I can, and hope that she is hard at work on her next book! Why Do We Quote? by Ruth Finnegan is a book on the history of quotations and how these were used since the beginning of literature. This book is definitely a great help for students who study literature and are working on their research reports. Apart from that, Finnegan talks about who uses quotations and how they do it in their respective fields. She is tracing the history of quotations and how they became what they are today. It was very interesting to read about quotations. You might think that this subject matter would be boring, but it is not. Finnegan keeps us entertained with her dry sense of humor and quality written material. You cannot question her research because she has covered every single aspect of it and backed her theories with solid arguments. I wish I'd had a reference book like this when I was working on my research thesis. Finnegan actually gives us so much more than simple quotations. She also talks about things that plague research students, such as the modern concepts of plagiarism and the originality of content and an idea. As research work is becoming far reaching and everyone and anyone is producing research on any given topic, this book will help students in deciding on their topics and making sure that their work remains "original” and not a "plagiarised idea.” I would recommend this book to students who want some guidance in their research work. Why Do We Quote? : The Near and Far of Others' Words and Voices by Ruth Finnegan is an engaging book that speaks about quoting, and the tradition of quoting during public speaking and writing essays. Quoting and quotations have flourished in written forms for many centuries now. Though quoting in writing is common, oral quotation is also significant in speeches, poetry readings, proverbs, catchphrases, and many more. The book speaks about the conventions of oral quoting, which is learned informally, while written quoting is well-recognized in practice and has a powerful position. The author's demarcation of oral and written quoting is interesting to read and learn. The book will be useful to all those associated with literature as it gives them an idea on how to use the words and voices of others while expressing their thoughts. It's also the sort of book that many types of readers will enjoy. Why do we quote? The book states that the use of quotation is not new. The background to our practice of quoting is vast and goes back centuries, showing how many a time our speeches are filled with others' words. I found the book highly interesting. It makes one ponder about the use of quotation and it's a book that all English language lovers will enjoy reading. The book also shows an interesting point in the approaches to language and writing, and it also demonstrates the dominant practices when it comes to education, speech, and writing. Why Do We Quote? by Ruth Finnegan is a book on the history of quotations and how these were used since the beginning of literature. This book is definitely a great help for students who study literature and are working on their research reports. Apart from that, Finnegan talks about who uses quotations and how they do it in their respective fields. She is tracing the history of quotations and how they became what they are today. It was very interesting to read about quotations. You might think that this subject matter would be boring, but it is not. Finnegan keeps us entertained with her dry sense of humor and quality written material. You cannot question her research because she has covered every single aspect of it and backed her theories with solid arguments. I wish I'd had a reference book like this when I was working on my research thesis. Finnegan actually gives us so much more than simple quotations. She also talks about things that plague research students, such as the modern concepts of plagiarism and the originality of content and an idea. As research work is becoming far reaching and everyone and anyone is producing research on any given topic, this book will help students in deciding on their topics and making sure that their work remains "original” and not a "plagiarised idea.” I would recommend this book to students who want some guidance in their research work.